Many dog owners ask me for tips on how to potty train a beagle puppy. One main reason that explains why this is sought-after information boils down to the fact that beagle puppies have a bad rep for being difficult to potty train. But why is that? In order to better understand this, it helps to take a closer look at what beagles are and how their genetic makeup has made them the wonderful and fascinating creatures that they are. If you have chosen a beagle as a companion, you were most likely attracted to this breed's looks, and hopefully, its temperament, too. Beagles are not the easiest dogs to own. On top of being adorable, they have a strong desire to be with their families, they are curious, lively, determined (one-track mind) and have lots of energy. Beagles aren't reliable off leash and need securely fenced yards to keep them out of trouble to prevent them from escaping. They are not the easiest dogs to train and teaching a hound to come when called can be challenging, unless you know how to use strong incentives to your advantage. 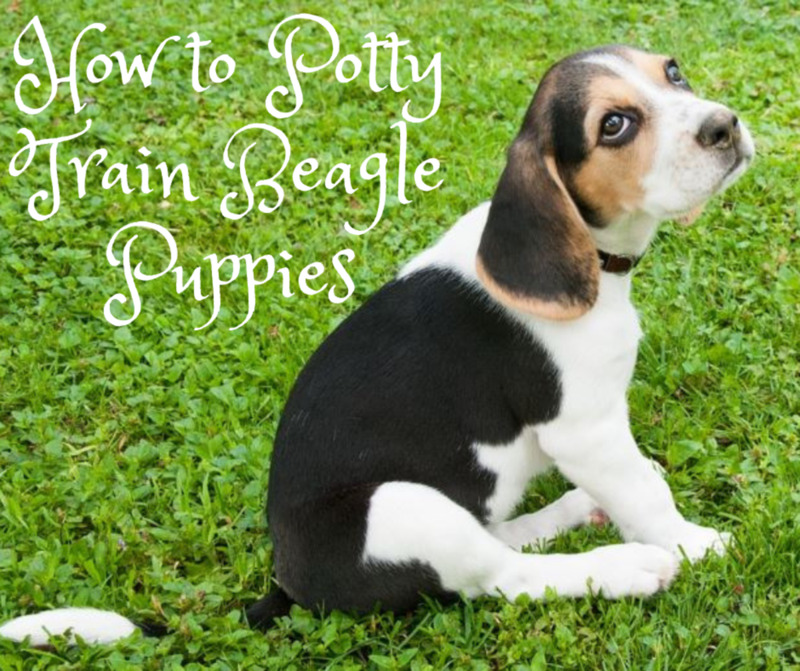 And when it comes to potty training, they can pose some challenges, but the first major hurdles can be overcome by getting inside the beagle's mind and using some strategies. The beagles' popular nickname and how these dogs earned it. An insight into the beagle's body and how it impacts the potty training process. How scent of previously soiled areas act like a toilet sign for dogs. A special product that all beagle owners should have to clean up messes. A popular household cleaning product that you want to avoid like the plague. A tool that will turn you into the best pee -detective on the planet. How to choose the best enclosure for your beagle puppy. Alternative enclosures for those longer absences. Peak times to take your puppy out to potty. The power of praise coupled with reinforcement. How to deal with messes without putting a dent in the potty training process. And several more potty training tips . . .
A beagle's bad rep in the potty training department stems from the beagle's almighty nose.This happy-go-lucky dog breed is a scent hound, and as scent hounds, beagles often get nicknamed as "noses on four legs." On top of having powerful noses, scent hounds are smart, determined and independent dogs because they have a history of being selectively bred to work in groups at a distance from their hunters. Their main job in the past was to follow a "hot trail" that brought their hunters towards rabbits. Let's take a closer look into what makes beagles so special so to better understand them. All the body of the beagle was crafted for the purpose of hunting. Beagle coats are purposely designed to insulate them from cold weather and heavy brush. Their throats are meant to produce a loud sound (which by the way, is called baying) for the purpose of informing the hunters when they were after a scent. Their fairly long muzzles and open nostrils are meant to help gather scent. Their long ears, when dragged upon the ground, are meant to stir up a blend of smells ready to reach the nose and then brain for personal interpretation. 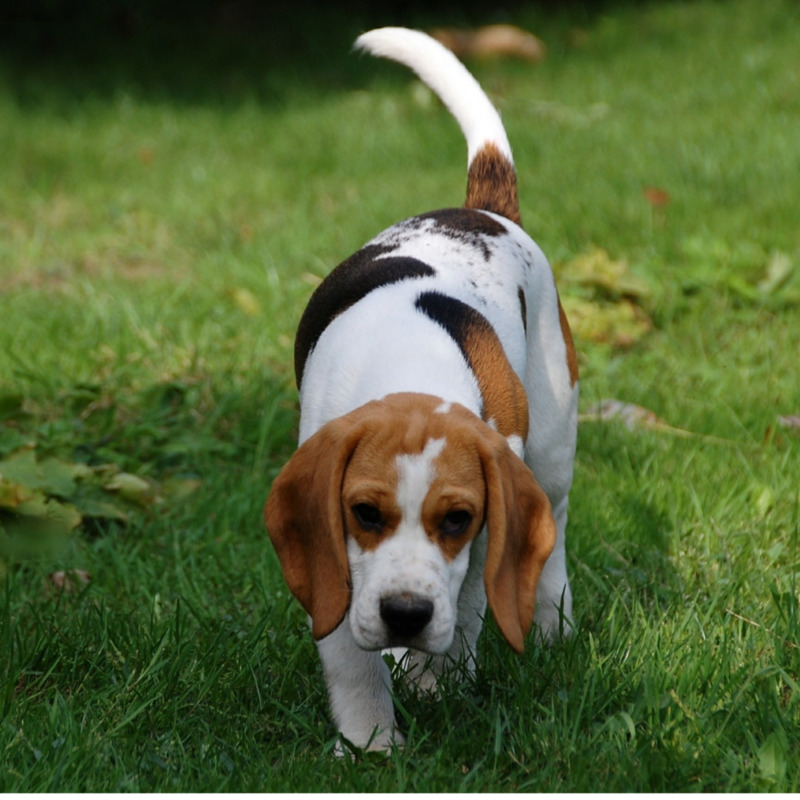 Even the white tip of their tails (called "flag") is there for a reason: It is meant to help hunters keep track of a beagle's whereabouts when they are merrily romping among tall brush. With this is mind, beagles and scent hounds in general may pose some challenges in the potty training department due their powerful noses (we will see why, a couple of paragraphs down). Indeed, along with the bloodhound and basset hound, the beagle has one of the best developed senses of smell of any dog, says Bruce Fogle in the popular book "The Dog's Mind." While the fact that beagles have a superior sense of smell cannot be denied, there are several "life hacks" that can turn handy to owners of many beagle puppies out there. Beagles are sensitive dogs. Use gentle training methods with them. One important product that is a must-have for beagle owners is an enzyme-based cleaner. One of my favorites, that I often suggest to my clients is "Nature's Miracle." What's so special about enzyme-based cleaners? Let's first take a step back and look at how dogs perceive previously soiled areas that are improperly cleaned. This will help us comprehend why enzyme-based cleaners are the go-to products for puppy owners, especially beagle owners. So let's go back again to a beagle's powerful, almighty nose.These powerful beagle noses (and dogs in general to a certain extent) are known to interfere with the potty training process because they are capable of detecting previous messes (if not properly cleaned up) which can lead to a vicious cycle of more messes due to a dog's tendency to soil over already soiled areas. Why do dogs do that? It almost seems like dogs enjoy making the same mistakes over and over again, but that's just from our perspective.Things don't work that way in a dog's mind. Because dogs' minds are governed by their noses, those traces of pee and poop smell left behind just inform dogs that those are his potty areas. It's as if the scent left behind says "this is your bathroom" in a similar fashion as us humans follow those universal bathroom signs found scattered almost in every public place, explains Patricia McConnell in her book "Way to Go! : How to Housetrain a Dog of Any Age." Now, when you use an enzyme-based cleaner, like Nature's Miracle, every time you are cleaning up messes, you are breaking down and destroying odor, rather than masking it as other cleaning products may do. Speaking about cleaning products to clean up messes, there is one product you want to avoid like the plague when potty training puppies, especially beagles. That product is, drumroll please: ammonia. What's the problem with ammonia? The main problem with ammonia, is the fact that ammonia smells like pee. The last thing you want for your carpet, upholstery or floor is to smell like a double-whammy of pee. A tool that you may want to keep in your potty training arsenal is a black light. Also known as an UV-A light, Wood's lamp, or simply ultraviolet light, a black light will be your best ally in detecting soiled areas that you may have missed, but your beagle likely knows about like the back of his hands, ehm . . . paws. Simply turn on the black light and go onto a nightly pee-detecting mission. With this tool, urine in a darkened room will glow bright white. The areas cannot be missed as they light up like a Christmas tree. You'd be surprised about how many pee areas you may have missed. Now, with this knowledge in mind, you can roll up your sleeves and clean up these areas with your enzyme-based cleaner. 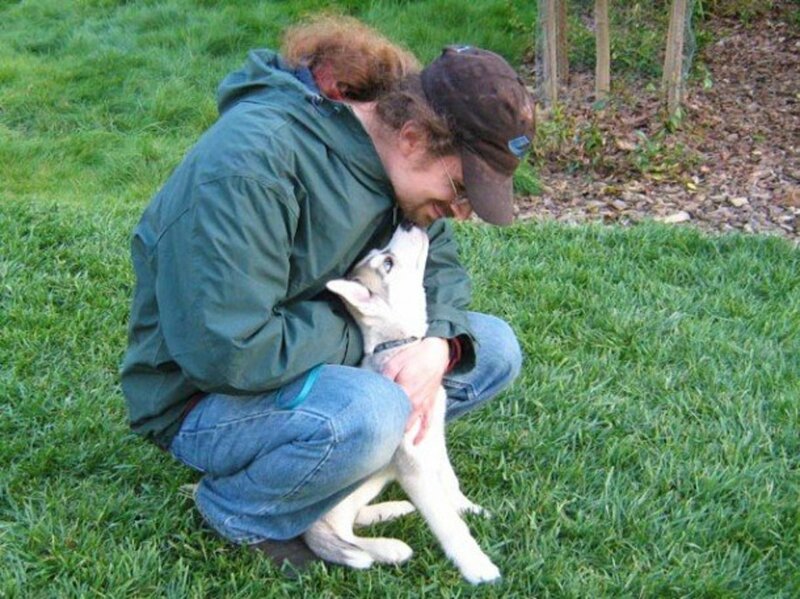 Nature's Miracle is a product that has been around for many years, and has remained my favorite ever since owning dogs and starting a dog-based business. It effectively removes odors without masking them as other products may do. 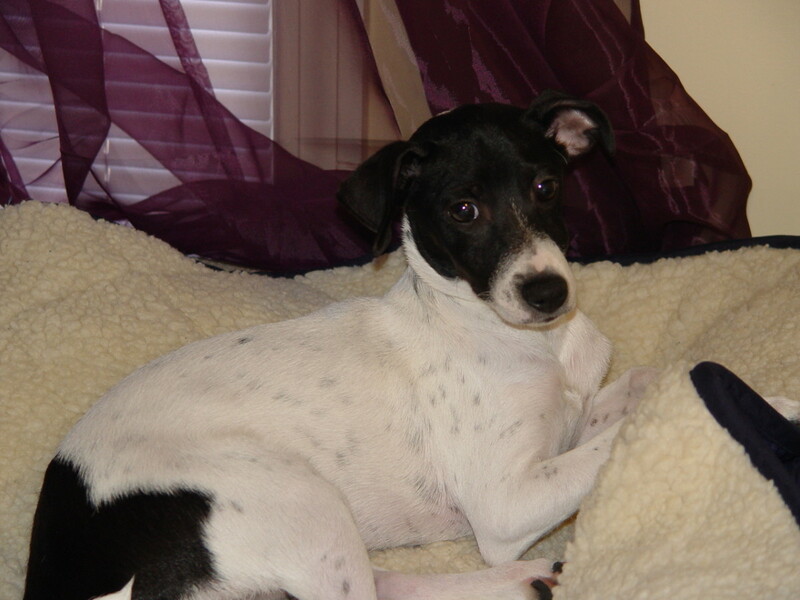 It has helped my puppies in the potty training process and countess other pups who were raised or trained by me. I often recommend it to my clients who are struggling in the potty training process. If you got your beagle puppy from a reputable breeder, hopefully he/she already introduced your puppy to the ABC's of potty training by creating an area where to eat/drink, play, sleep and an area designated specifically for the pups to pee and poop. This should give your puppy a head start. Hopefully, he/she also introduced the pups to a crate, which is a big plus. Don't just sit back and relax upon bringing your pup home: you can start potty training your beagle puppy from the get-go, which means from the very first day he/she is in his new home. If you haven't brought your beagle pup home yet, you will therefore have some advance homework to do before opening your heart and home to your beagle pup. You therefore, want a good enzyme cleaner, a black light before then, along with other essentials such as a crate, a leash and some tasty treats. Many new puppy owners make the mistake of buying a crate that is too large thinking more freedom for the pup to move around, but this can be a costly mistake. You see, when the breeder dedicated an area for the puppy to pee/poop and an area to sleep, eat, drink, play, he or she was introducing the puppy to the basic concept of using a crate or other enclosure for potty training purposes. This practice relies on a puppy's instincts—reminiscent of the days when pups were raised in the wild in maternity dens, special underground burrows that kept mother and pups out of harm's way. Initially, when the pups are helpless, mother dogs instinctively ingest their waste so that its smell will not attract predators and to maintain hygiene. Then, later on, the pups start using less and less the den (other than for sleeping), and instead, start using special rendezvous areas which are similar to open-air kindergartens. Constantly peeing and pooping in the place in their snug dens would have been maladaptive. Pups, therefore, should instinctively not soil their sleeping areas, and therefore, should try their best to avoid soiling in the crate (as long as they aren't kept there for too long!). To help pups retain this instinct, it helps to choose a crate that is not too big, as this may cause the pup to comfortably sleep in one corner and pee/poop in the opposite one. Instead, a crate should be snug enough so that the pup will instinctively try to hold it (so to not soil his sleeping area), but not so snug that the puppy cannot stand up, lie down stretch out or turn around. When in doubt, ask an educated store clerk to help you out. Tip: Create positive associations with the crate! Feed treats in there, provide safe chew toys, make it extra comfy, and never use it for punishment or to park your puppy there for extended periods of time. The first days, keep your pup in the crate in the bedroom next to you to help him settle. 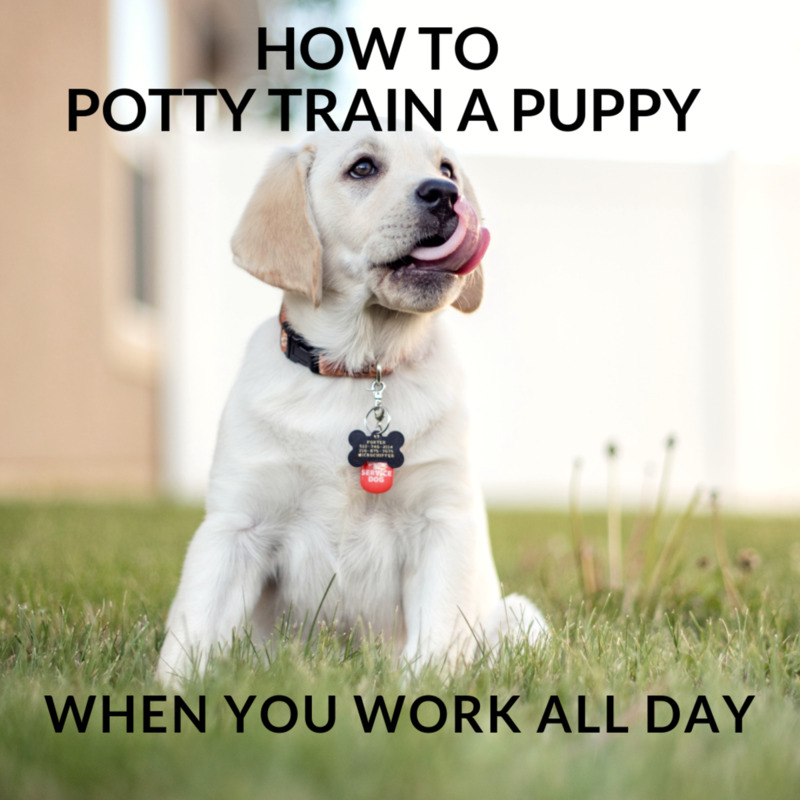 If you must leave the home for long hours or you are busy and will, therefore, have to potty train your puppy while working full-time, a crate will not work as it will force your puppy to go against instinct and eliminate right in there, making a mess to clean up. For these cases, you are better off using a larger containment area (like an x-pen), with one area with your puppy's water bowl, food bowl, sleeping area and safe chew toys and one opposite area purposely for going potty (puppy pee pads or a doggy litter box). Ideally, to prevent confusion, pick a surface for your puppy to pee and poop on that somewhat mimics where your pup needs to go when outside. Nowadays, there are litter boxes lined with what looks and feels like grass which can be extra helpful. Alternatively, you can use a small puppy-safe room with a washable floor like a tiled bathroom or laundry room lined-up with puppy pee pads or equipped with a litter box. These are used only initially when your puppy is very young and has little bladder and bowel control. As your puppy matures, and can hold it longer, it will be possible to only use the crate. Prepare yourself for some busy times ahead as puppies are like babies, only that they do not wear diapers. If you got your beagle puppy at 8 weeks, you will have to take you puppy out to potty as often as hourly when he is active. There are peak times when puppies are more likely to need to go out and those times are after eating or drinking, after waking up from a nap and after playing. 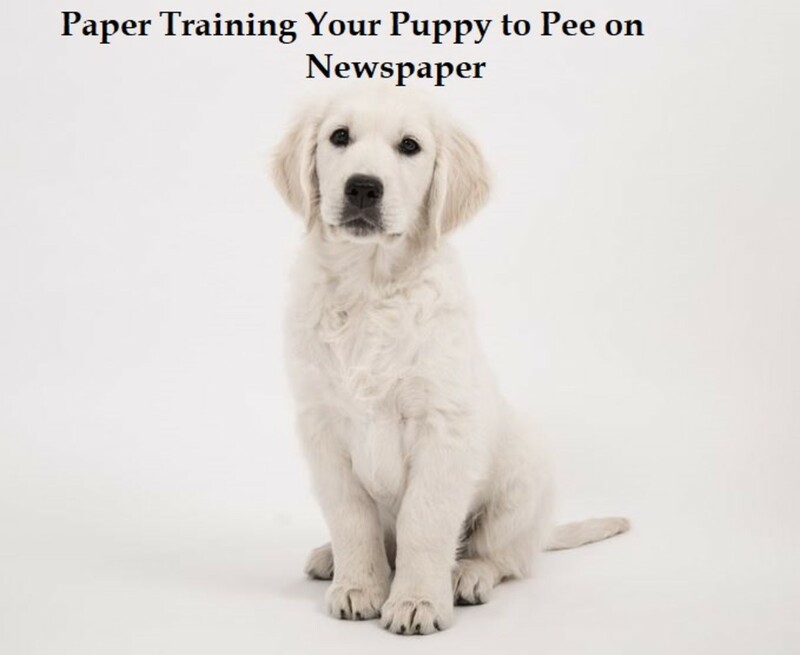 Learning how to recognize signs your puppy has to go potty will help you in the process. When you go outdoors, you may be better off keeping him on leash as your beagle's nose might distract him, causing him to get off-track and then remember the need to go potty only once he's back inside, coincidentally always soiling that favorite rug. 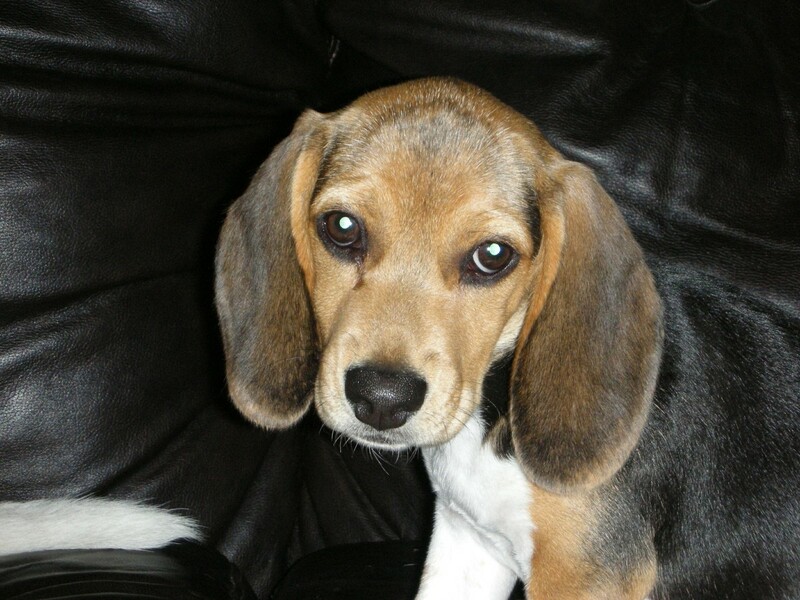 Beagles offer a great advantage when it comes to potty training: they are highly food motivated. When you take your puppy outside to potty, make sure to carry some treats in your pocket. 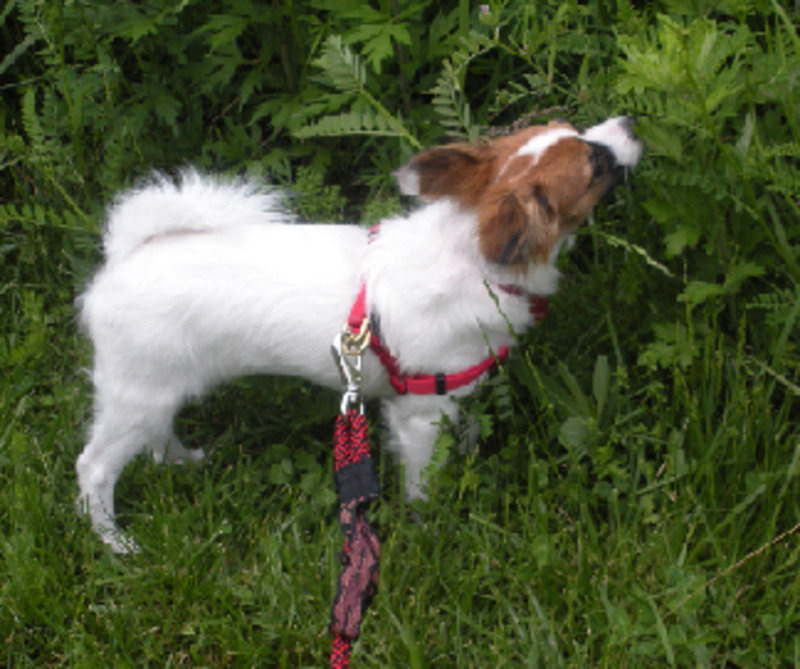 Walk your puppy always to the same area that you have designated for going potty. Keeping your beagle puppy on leash prevents your puppy from straying away to distant odors and allows him to be there, right within reach, so that you can readily praise and reward with a tasty treat the moment he has finished going potty. Once your puppy has gone potty, you can allow your puppy to explore the yard and then have some supervised freedom time indoors in an area where you have plain view and can watch your puppy carefully, before it's time to take him out again, crate him again or place him in his long-term enclosure. If you ever find a mess or catch your puppy in the act of soiling in your home, avoid punishing your pup. This may only lead to your puppy hiding to pee and poop, putting a significative dent in the potty training process. If you find a mess, just clean it up and take a note of it so to take your puppy out earlier next time. If you catch your pup in the process of eliminating, simply talk to your pup excitedly and prompt him to follow you to door and outside (or pick him up) and let him finish outdoors, lavishly praising and rewarding him right afterward. 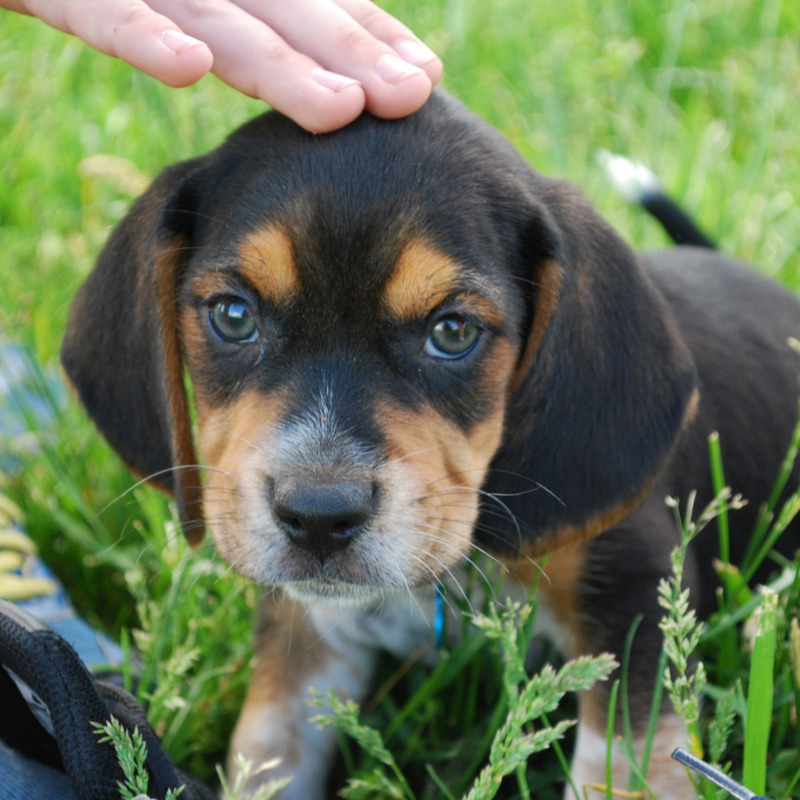 Tip: As you take your beagle puppy outside, plan on training your puppy to potty on command. This will turn handy in many different situations! Feed your puppy on a schedule. This will make for more predictable outings. Don't give your beagle puppy the free run of the house. Install a baby gate and keep him in a room with you where you can closely supervise him. Always be out with your pup when he eliminates so you can inform him he's done the right thing. Keep the crate close to the door to prevent accidents as your pup walks towards the door. These are all good training tips. Potty training a puppy is hard work and takes some effort, but once a dog is housebroken, all that effort is well worth it. I can vouch for the efficacy of Nature's Miracle. We had an older dog that started to have accidents in the house towards the end of his life. The enzymes in Nature's Miracle really do eliminate urine odors and keep a dog from reusing the same spot.